Jessica Fernandes, Ag Science Teacher and Future Farmers of America Chapter Leader at Buena Park High School was just named National Association of Agricultural Educators (NAAE) “Outstanding Ag Teacher” for 2011. Jessica competed against ag teachers in the western United States. Agromin is proud to be the corporate sponsor, ardent supporter of, and partner with Jessica and her outstanding team. The “Outstanding Ag Teacher” award is sponsored by Toyota as a special project of the National Future Farmers of America Association. Part of Jessica’s award includes a two-year lease on a new Toyota Tundra pickup truck, which will come in very handy with her farm chores and the many, many trips she makes each year to the Orange County Fair. The NAAE is a federation of state agricultural educators’ associations with more than 7,650 members. Currently NAAE focuses on three areas: Advocacy for agricultural education, professional development for agricultural educators, and recruitment and retention of current ag educators. 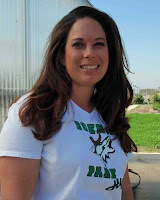 When Jessica took the reins at BPHS, 62 students were enrolled in the ag program. Her efforts have resulted in over 400 students being currently enrolled in ag science classes and a thriving, and growing, FFA chapter. Jessica will attend the NAAE convention from November 15th through 19th in St. Louis, Missouri.